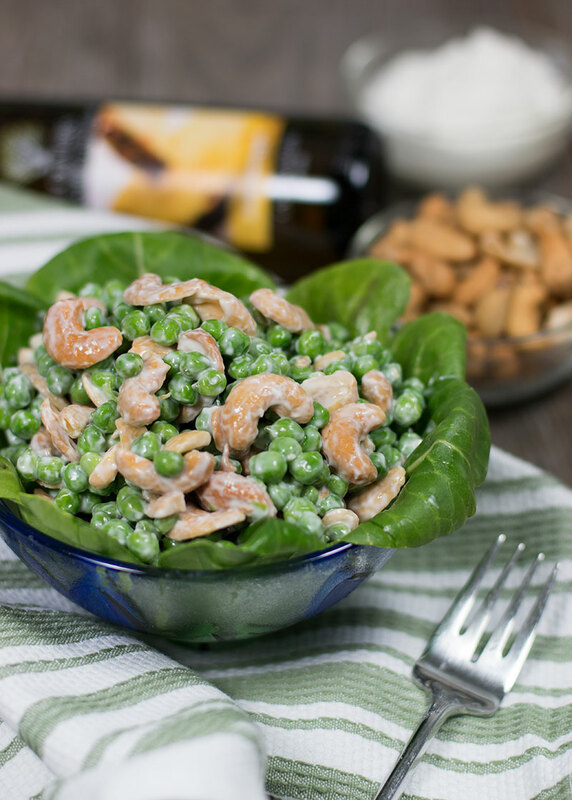 This fresh Spring pea and cashew salad is one of our favorite go-to side dishes. It’s quick and simple with wonderful ingredients that make it both sweet and savory. It’s always a hit at our table. Want to save even more time? Measure out the frozen peas in the morning and they will thaw in the fridge before you even get home. Easy-peasy! Cook peas and chill. 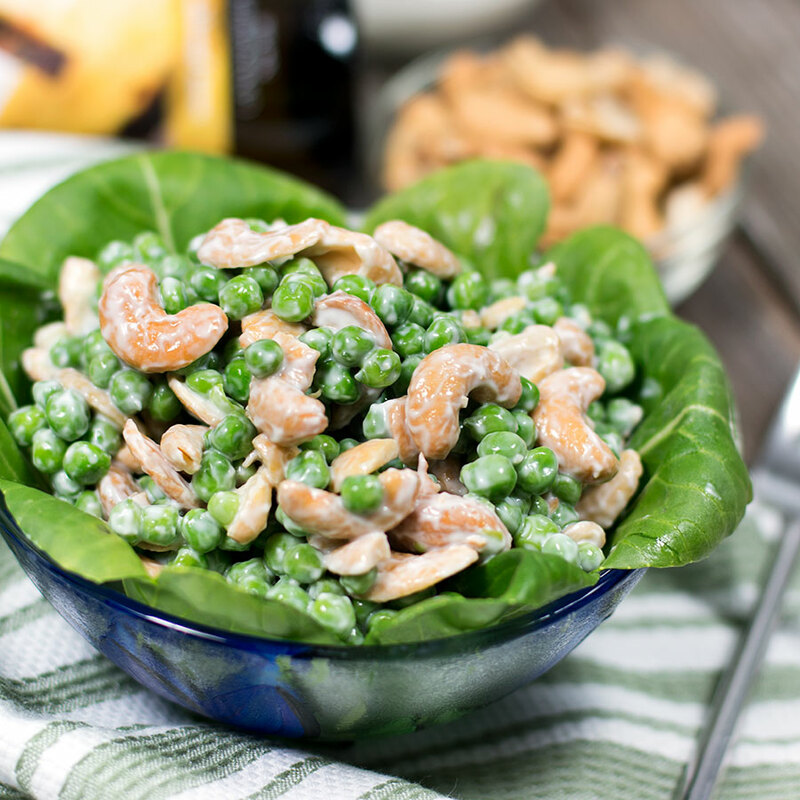 Toss peas and cashews together in a medium bowl and set aside. In a small bowl, whisk Sunny Pineapple Balsamic Vinegar and Greek yogurt. While still whisking, drizzle in Herbes de Provence EVOO until thickened. Add vinaigrette to pea and cashew mixture and mix well. Season pepper to taste, and finish with a sprinkle of Fleur de Sel. Serve with fresh mint if desired. This entry was posted in Blog on February 29, 2016 by Michael Johnson.